This double-CD release from Greensleeves Records presents a key collection of tracks from producer Lloyd James, aka Prince Jammy, and is a fine introduction to his distinctive production style. 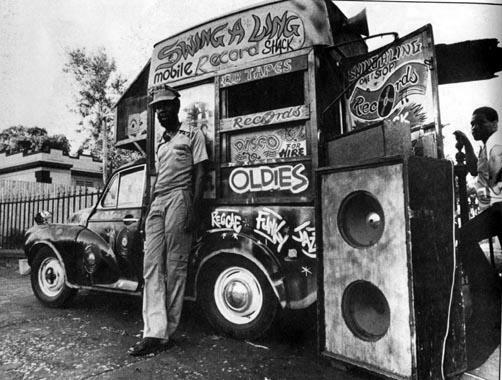 Recorded at King Tubby’s, Harry J’s, Channel One and Jammy’s studios, musical input includes contributions from both the Aggrovators (featuring amongst many others Sly Dunbar, Ansel Collins, Bobby Ellis and Robbie Shakespeare) and the High Times Band (notably Earl ‘Chinna’ Smith). Heart of the Congos was a seminal reggae album, highly influential but relatively neglected in the UK. Originally released in 1977, it is a classic ‘lost’ album of reggae, unavailable for almost twenty years. Notable for the distinctive production of Lee Perry, his trademark sound and dub production values are present throughout. Since its reappearance in the 1990s on CD, Heart of the Congos has continued to enjoy a cult status as a landmark album. Is this reputation justified? How to assess the influence of Don Letts – previously known as the ambassador of dub reggae, associate of the Clash, film maker and DJ – on roots music in a career spanning four decades? The rddim album – the single-rhythm reggae album, either wholly instrumental or with a number of different vocal tracks – is now well-established. Its origins lie in putting together the series of dubs, versions and remixes of a single vocal track – typically spread across the ‘a’ and ‘b’ sides of various 7” releases – into an album format. An entire album consisting of the same rhythm track, extensively deconstructed and reconstructed, was a revolutionary development at the time, and it’s still going strong, especially in the various digital rhythm albums released for the contemporary dancehall market. It’s useful to have a look at this by focussing on two of the key rhythm albums that started this trend, plus a newly recorded double-CD based on just one classic track. From the New York band, with its fluid and illustrious membership, comes the latest in its series of reinventions of classic British rock albums. After Pink Floyd and Radiohead, the Easy Stars tackle the Beatles, and not only that, they cover in a roots style the peak (for many people) of the Beatles’ achievements, Sgt Pepper. With the impending release of a new album from New York’s Easy Star All Stars, it’s the right time to take stock of their unique take on reggae reinvention of classic rock albums. Has it all been a joke, and, if not, is it any good?